Dear customers! We are glad to present you the newest update 7.16 of Handy Backup. This new version contains the renewed E-mail plug-in for backup mail services via IMAP. It also updates the Network plug-in, for faster and even more reliable connection to shared network resources. 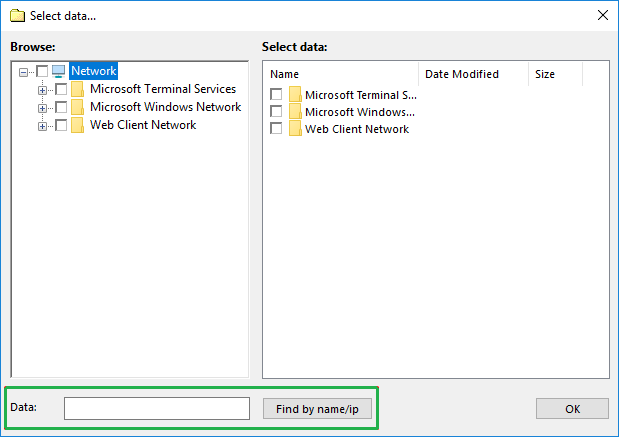 In addition, this renewed plug-in contains an advanced searching engine that allows finding a particular network location either by name or by an IP address. Both of these plug-ins are at high demand among users, so we are constantly upgrading the algorithms for email and network backup. The new implementation is traditionally faster and a bit more efficient than earlier plug-ins. Still, both plug-ins preserve the simplicity and convenience of previous versions. Learn more about Email Backup Software. When you are using the Network plug-in, you can now find a particular resource either by name or by an IP address. Enter the IP sequence in a searching string, and then click "Find by Name/IP" to seek for an address. The program will find and show a resource with a provided IP. Learn more about Network Backup Software.